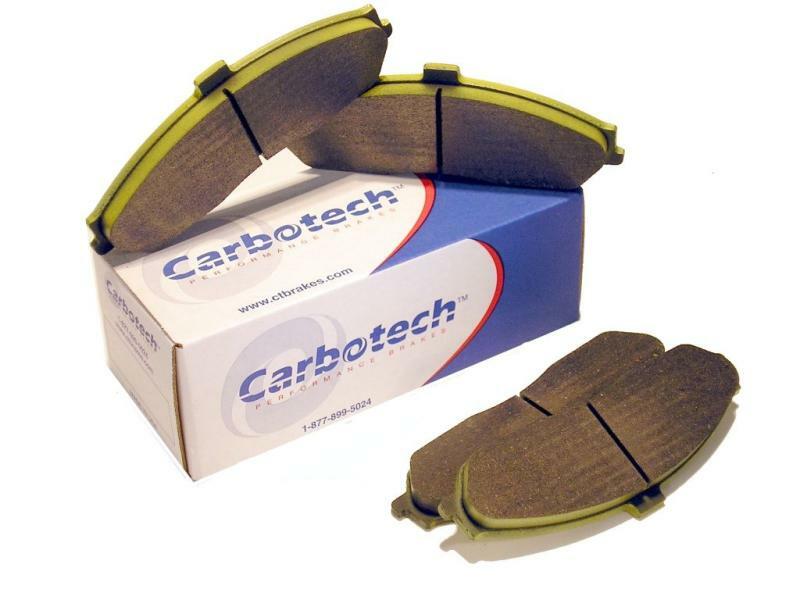 Carbotech XP12 Brake Pads - Brakeswap.com - Friction for the Win! The latest iteration of the highly successful XP series of compounds with an extremely high initial bite, torque and fade resistance than compound XP10. XP12 is a world leading friction compound that is unmatched as a Ceramic racing compound, with a temperature range of 250°F to 2000°F+. The XP12 still has that excellent Carbotech release and modulation that has made all other Carbotech compounds so successful. The XP12 is the most rotor aggressive compound Carbotech offers, but compared to the competition the XP12 is still very rotor friendly and contains 100% non-corrosive dust. XP12 is recommended only for expert/very advanced drivers. XP12 is found to be most affective on race cars weighing 2,400lbs or more using R-Compound tires; or street cars weighing 3,200lbs or more for track use only. Ideal for LMP1, LMP2, DP, T1, T2, T3, H1, H2, GT1, GT2, GT3, TC, GT, ST, GS, MX-5 Cup, etc… XP12 is NOT recommended for use as a daily driven street pad due to possible elevated levels of dust and noise.